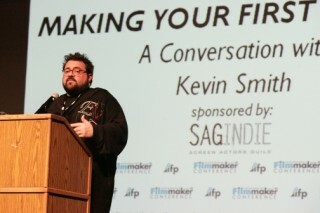 IFP is the nation’s oldest and largest organization of independent filmmakers. Since its founding in 1979, IFP has facilitated the development, financing or distribution of 7,000 independent films, while more than 20,000 filmmakers have participated in its programs. The organization has fostered early work by leading filmmakers including Charles Burnett, Edward Burns, Michael Moore, Barbara Kopple, Mira Nair and Kevin Smith. Considered the official kick-off to the film awards season, IFP’s Gotham Awards celebrate the year�s best independent films and shine a crucial spotlight on standouts that deserve major attention. Patrick Kowalczyk took David Carr from The New York Times behind the scenes at The Gotham Independent Film Awards to give Times’ viewers the inside scoop on how a red carpet works. Check out the video on NYTimes.com. 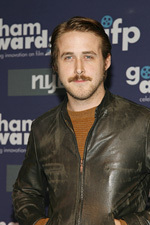 The film awards season kicked off last night in New York City with the 18th Annual Gotham Independent Film Awards. For the second year in a row, PKPR handled all media operations for the coveted awards which honor the year’s best independent films. More than 60 media outlets covered the ceremony, including E! News, AP Television, VH-1, Inside Edition, New York Times, Los Angeles Times, Daily News, Huffington Post, Newsweek, BBC, New York Magazine, Entertainment Weekly, and InStyle. Top honors went to Penelope Cruz, Gus Van Sant, Frozen River, Vicki Christina Barcelona, and Ballast. The nation�s oldest and largest organization of independent filmmakers, the Independent Feature Project (IFP) hosted Independent Film Week in September. The week of film screenings, panel discussions, and networking reflected the organization’s mission of discovering, showcasing, and supporting new independent film projects and talent. PKPR secured preview, news and feature coverage in key film trade publications like Variety, Hollywood Reporter and indieWIRE, as well as mainstream press like am New York, the Village Voice and the New York Sun. PKPR took The Gotham Awards to the next level in 2007 by securing the awards wider coverage than ever before. More than 60 media outlets covered the red carpet arrivals, including Access Hollywood, Inside Edition, Extra, CNN, BBC, Entertainment Weekly, E! Online, Newsweek, and FoxNews.com. To get a sense of the event, check out Jada Yuan’s terrific segment for New York Magazine in the video above. The kick-off to the film awards season, The Gotham Awards will take place for the first time ever at Brooklyn’s Steiner Studios. PKPR has secured major coverage for this year’s awards including AP, International Herald Tribune, New York Daily News, New York Post, Los Angeles Times, and Yahoo! Movies. Tune back in November 28th for coverage of the actual awards.